Introducing a new Monday feature: The Monday Beauty Round Up. Each Monday, I will have a collection of favorite beauty, skin care, hair care or body care items with a theme. The first up is CAFFEINE. Caffeine contains many skin care benefits -- from reducing inflammation and swelling to temporarily reducing the appearance of cellulite. 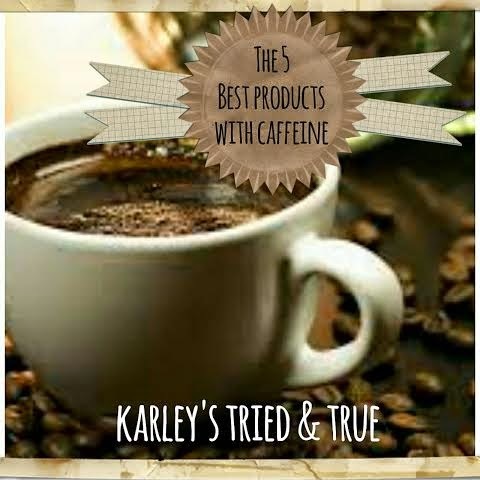 I am sharing TRIED and TESTED products with caffeine that I can wholeheartedly recommend. 1. I have a FAVORITE new eye cream. 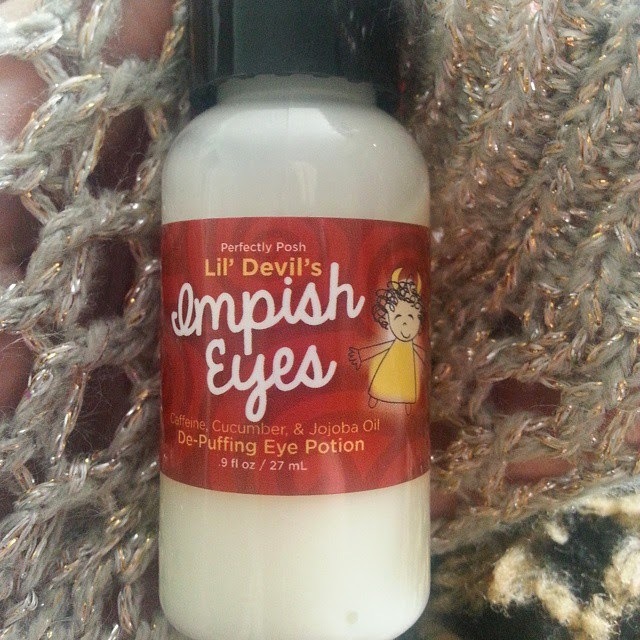 It is called Impish Eyes De-Puffing Eye Serum Potion and it is from Perfectly Posh. My former caffeine-based favorite eye cream was from 100% Pure and this one blows it out of the water (Please note, I am in no way affiliated to Perfectly Posh and purchased this product myself. I have tried several of their products now and am IN LOVE). Impish Eyes contains polypeptides, Coenzyme Q10, cucumber extract and more It is 0.9 ounces --most eye products are half an ounce -- and it is just $19. It helps with puffiness, dark circles and fine lines. 2. Wash With Joe Coffee Mint Invigorating Body Wash -- You *must* try this! The scent is amazing--think of peppermint, coffee ad maybe even the warmth of caramel. Certified Vegan and Paraben Free. 3. 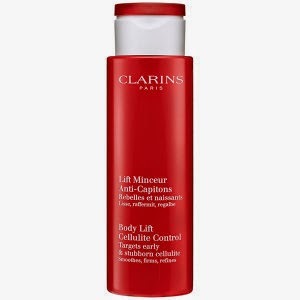 Clarins Body Lift Cellulite Control -- Yes, this is a splurge. However, it works. I was first introduced to this in 1997 when I was working as a Clarins Counter Manager when I was fresh out of college. I was a size 6, small for my frame (that is a whole other story, parts of which have been shared here over the years), but was self conscious about the backs of my thighs. My weight has varied wildly with pregnancies, being immobile for a couple months with a broken tibia/fibula, and FINALLY finding what works for me. Anyway, even though I exercise at least 4 days a week, I still get self conscious about the backs of my thighs. I am approaching 40 and cellulite is bound to happen. Anyway, this product is expensive. If not for me receiving products for free through the blog to give me a largely untapped beauty budget of my own, I would not purchase this regularly. In the summer, I use this when I wear shirts, dresses or shorts. Why? Because it TEMPORARILY (for several hours) does lessen the appearance of cellulite. Does it cure it? No. Are results permanent? No. However, it is fabulous and it's free of parabens. 4. 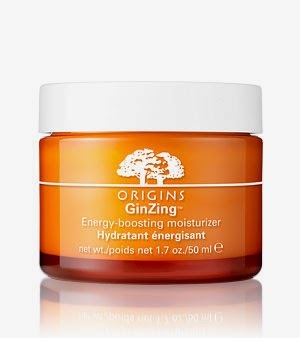 Origins GinZing Energy Boosting Moisturizer is formulated with coffee beans, lemon & grapefruit essential oils and Panax Ginseng to boost skin radiance and gives it a brighter, healthier glow. I just started using it and already see a difference. 5. It's another Perfectly Posh favorite. 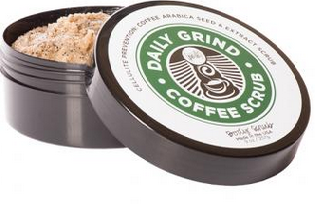 I am loving the Daily Grind Body Coffee Scrub. It combines the best of both exfoliators -- sugar and salt -- to gently slough off dead skin cells to reveal a fresh, glowing complexion. As for the claims that is is anti-cellulite, it does give the appearance, albeit temporarily, of more youthful, taut skin. Love it!